I mentioned a while back on the blog that I would be having my first magazine credit quite soon this year. And the day has arrived! Indian SF editor Geetanjali Dighe was kind enough to reprint my review of Particle Horizon, a 2012 debut science fiction novel by Selso Xisto. The review originally went live on The Founding Fields last year. 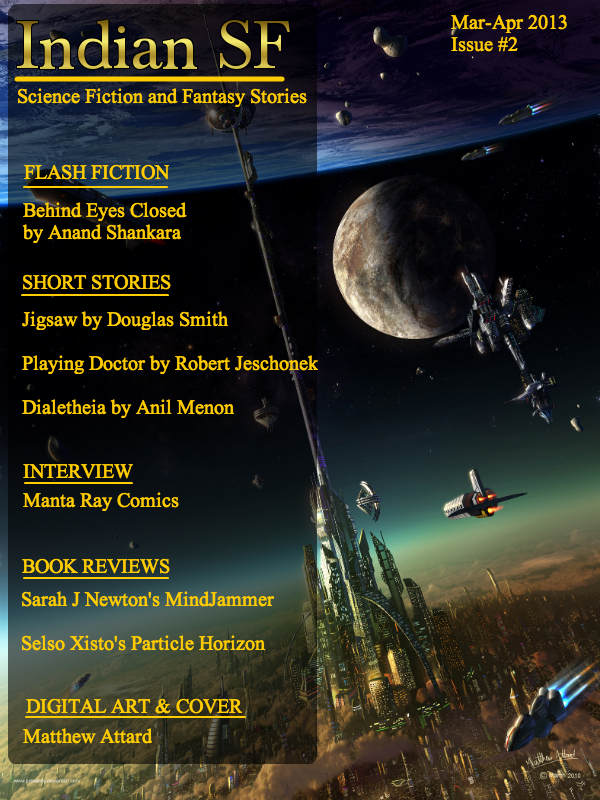 Head over to the IndianSF blog and download the March/April issue for a fantastic magazine that will undoubtedly push Indian SFF into the limelight this year. Also, I love that cover. Pure SF awesomeness.